Get Your Percona Live 2018 Tickets at the Super Saver Rate Now (Before Time Runs Out)! Get your Percona Live Open Source Database Conference 2018 Super Saver tickets now. The countdown is on for the annual Percona Live Open Source Database Conference 2018! The conference takes place in Santa Clara, CA from April 23-25, 2018. The theme is Championing Open Source Databases, and the three-day conference will focus on the latest trends, news and best practices in MySQL, MongoDB, PostgreSQL and other open source databases. It includes tracks on time series data, cloud databases, operations, business/case studies and more. How we use MySQL today – April 10 2017 – New York MySQL meetup. I am almost certain this will be very interesting with the diversity of speakers and topics. 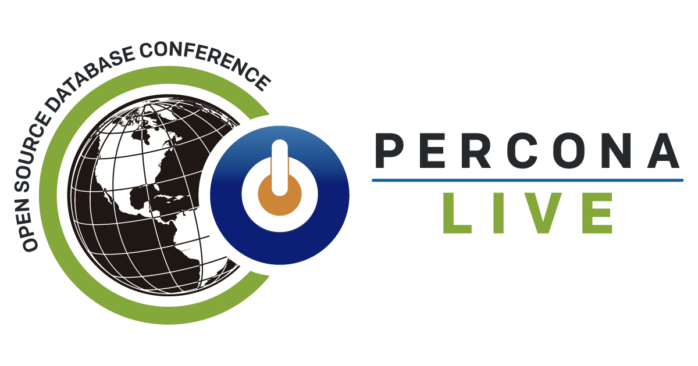 Percona Live 2017 – April 24-27 2017 – Santa Clara, California. This is going to be huge, as its expanded beyond just MySQL to include MongoDB, PostgreSQL, and other open source databases. Might even be the conference with the largest time series track out there. Use code COLIN30 for the best discount at registration. I have a few speaking engagements coming up in April 2016, and I hope to see you at some of these events. I’m always available to talk shop (opensource, MariaDB Server, MySQL, etc.) so looking forward to saying hi. A short talk at the MariaDB Berlin Meetup on April 12 2016 – this should be fun if you’re in Berlin as you’ll see many people from the MariaDB Server and MariaDB MaxScale world talk about what they’re doing for the next releases. rootconf.in – April 14-15 2016, tutorial day on 16 – I’ve not been to India since about 2011, so I’m looking forward to this trip to Bangalore (and my first time to a HasGeek event). Getting the email from the conference chair was very nice, and I believe I’m giving a keynote and a tutorial. The Call for Papers for the fifth annual Percona Live Data Performance Conference and Expo (formerly MySQL Conference and Expo) taking place April 18-21, 2016, in Santa Clara, California, is now officially open! After a few months of submissions and reviews, the program for PerconaLive MySQL Conference and Expo 2014 is published. The conference will be held in Santa Clara, from April 1 to 4, 2014. Registration with early bird discount is available until February 2nd. If you plan to attend, this is probably the best time to act. The call for participation for Percona Live MySQL Conference 2014 is still open. As part of the review committee, I will be looking at the proposals, and I hope to see many interesting ones. There is a novelty in the submission form. In addition to tutorials and regular sessions, now you can submit proposals for lightning talks, to which I am particularly interested, as I have organized the lightning talks in the past two editions, and I am in charge to continue the tradition for the next one. Team MariaDB will be at the Percona Live MySQL Conference & Expo 2013, held in Santa Clara from April 22-25 2013. We will also be at the SkySQL Solutions Day held on April 26 2013 at the same venue, the Hyatt Santa Clara. We have talks, a booth in the DotOrg Pavilion, have a BoF and we’re participating in the passport program. The Percona Live MySQL Conference and Expo 2013 is almost 1 month away. It's time to start planning, set the expectations, and decide what to attend. This post will give a roundup of some of the sessions that I recommend attending and I look forward to. Alongside SkySQL, we participate in SkySQL & MariaDB Meetups. These events are free to attend and you’ll get to meet & speak with SkySQL CEO Patrik Sallner and all round MariaDB man (& MySQL creator) Michael “Monty” Widenius.